Years ago, a friend raved about JONI MITCHELL, so I bought a few albums, but never really got into them. Fast forward to this past weekend when Joni was in constant rotation. I kept thinking: What took me so long? 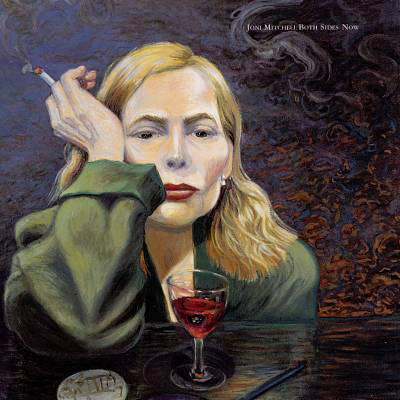 Both Sides Now traces the arc of a modern relationship from flirtation to despair and back again, all through Joni’s unique storytelling and sultry, bluesy renditions of classic jazz songs like “At Last “, “Don’t Worry ‘Bout Me” and “Stormy Weather“. The title song, “Both Sides Now” was actually written in 1967 and has been covered by many artists over the past four decades. And just in case you need more convincing, Joni is #42 on Rolling Stone’s 100 Greatest Singers of All-Time. Can you tell? I Loooove Joni Mitchell now. What took me so long?